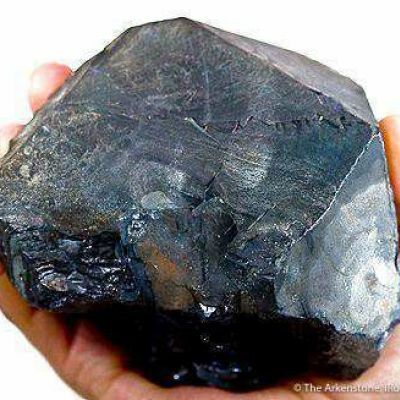 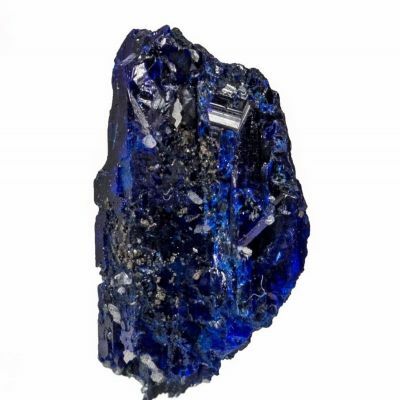 Intense blue linarites are a rarity from anywhere, and are the most sought-after specimens from the Blanchard. 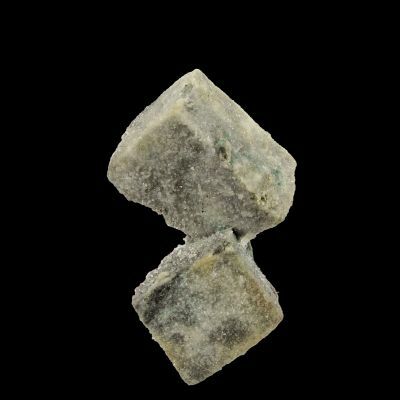 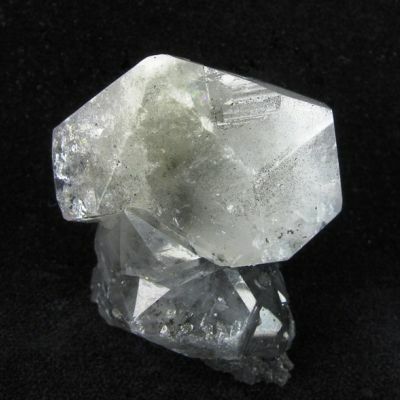 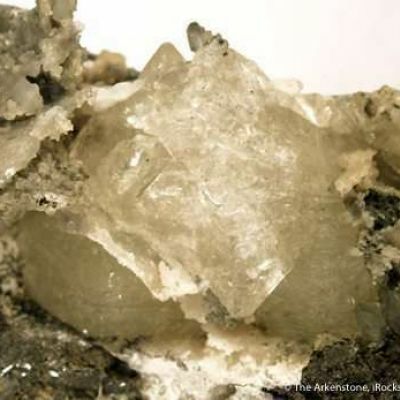 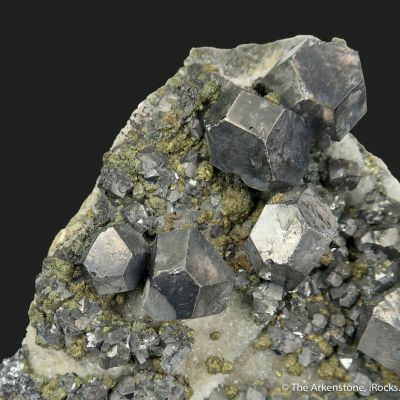 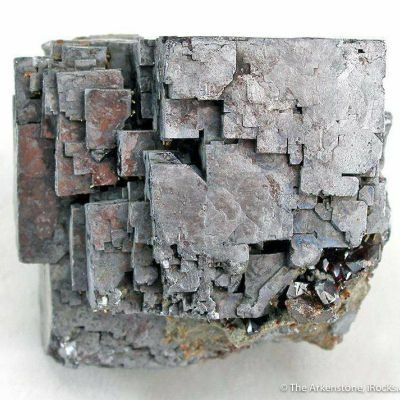 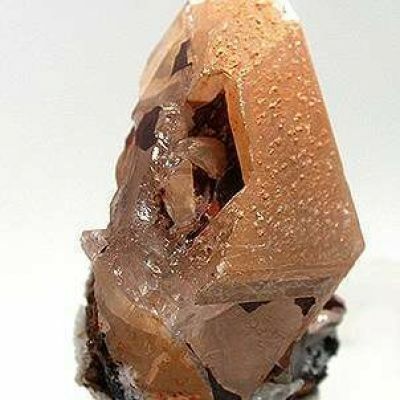 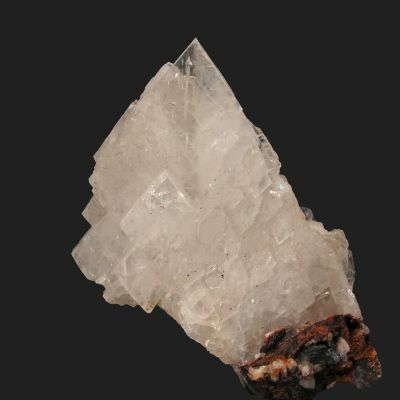 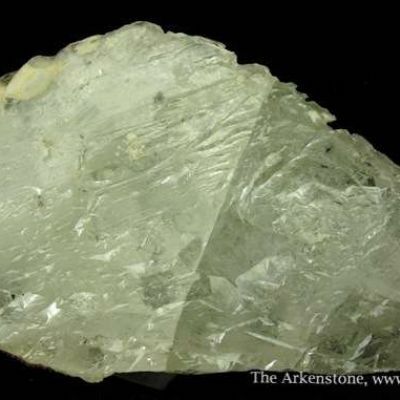 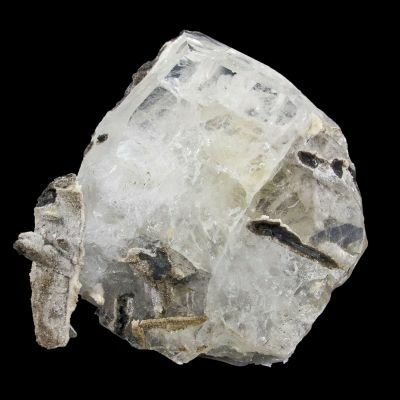 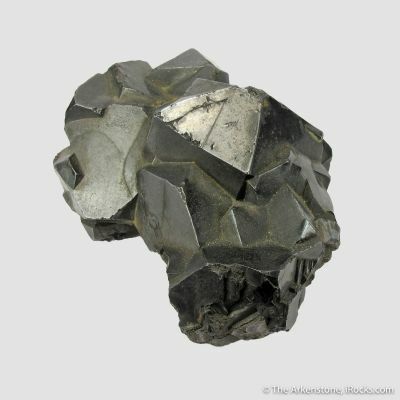 They are at their best when the acicular crystals gain a 3-dimensional visual aspect by forming on a euhedral crystal of galena, as they have done here. 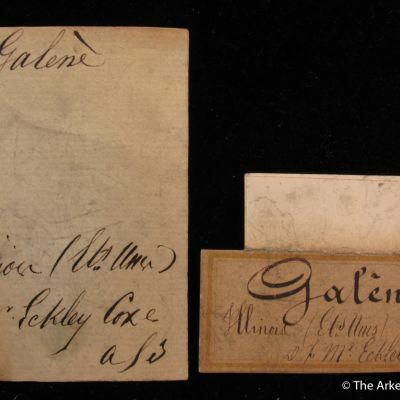 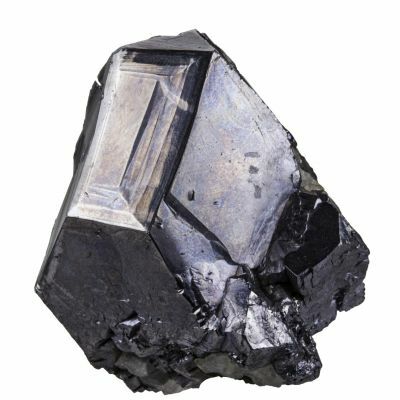 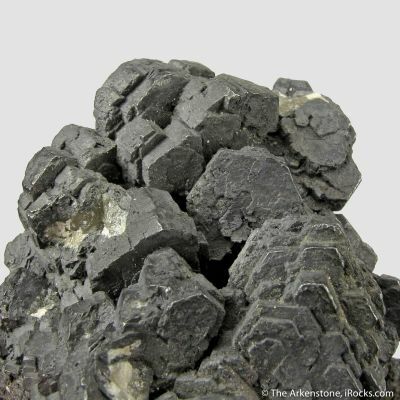 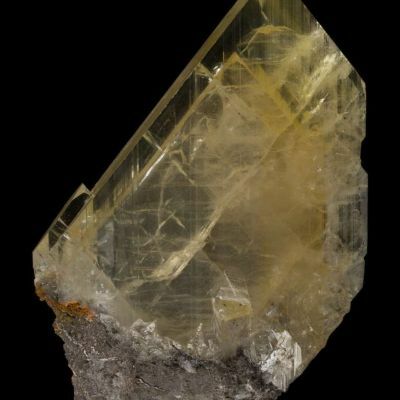 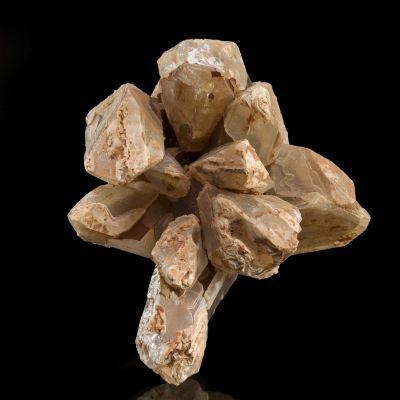 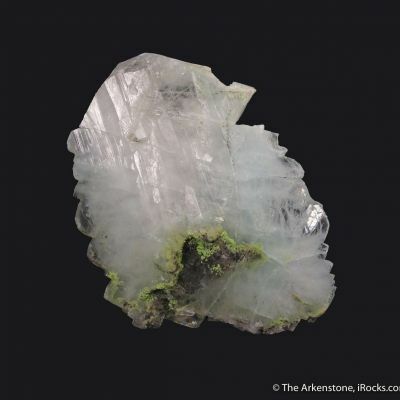 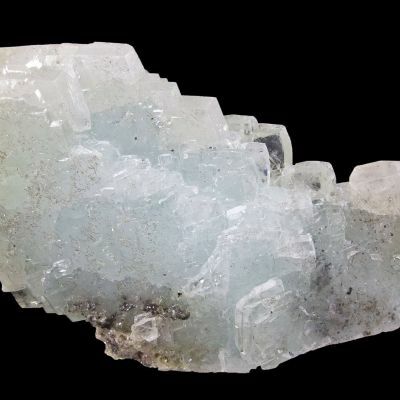 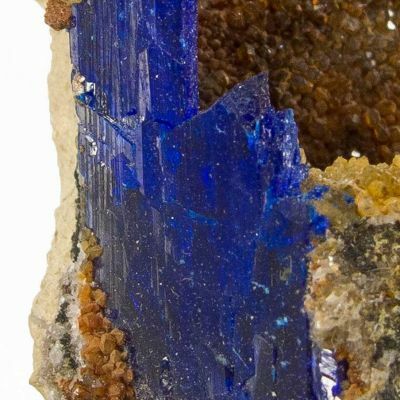 The linarite-covered galena is accented by quartz, and there is minor anglesite intermixed with the linarite on the surface of the galena crystal which is in the process of pseudomorphing to anglesite entirely.